A movie about Troll dolls is almost comically cynical. Take a product line that has lost its luster, repackage it for the next generation and laugh all the way to the bank. It’s the textbook definition of a cold, calculated, brand-driven cash grab. If that sounds familiar, it’s because that is exactly what people said about “The LEGO Movie” before it came out. Then that movie turned out to be awesome, and the nation ate a fair amount of crow. 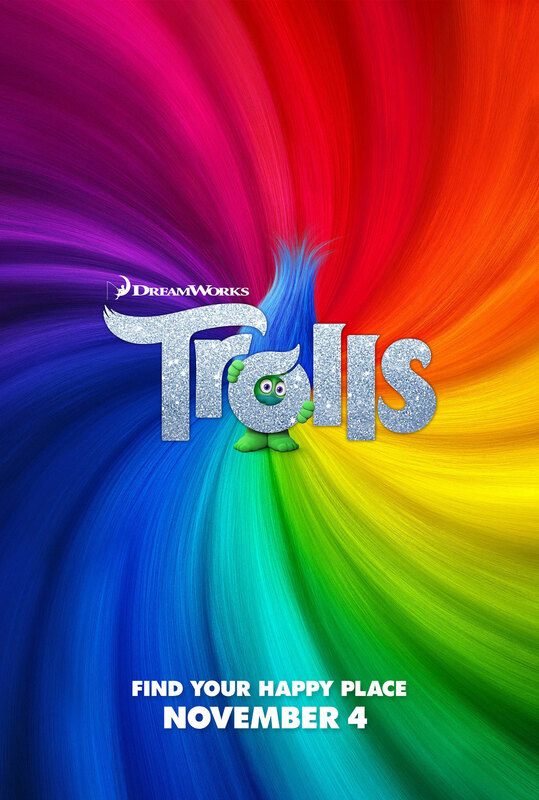 “Trolls” is no “LEGO Movie,” but there is something to it, a relentlessness of spirit that is undeniable. It has a stunningly unique visual style, the musical numbers are a deftly chosen blend of big pop hits and lesser-known but worthy songs (all selected by co-star Justin Timberlake), and the voice casting is sublime. The ‘B’ story could have used some work (it’s a Disney princess story, almost verbatim), and it ultimately lacks the courage of its early convictions, but it is still a wildly entertaining movie. The trolls are impossibly happy, follicly-blessed creatures who live in a tree in the middle of a village of Bergens, miserable folk whose only joy comes from eating a troll, and the eating of a troll becomes a Bergen holiday. On one of these holidays, the trolls escape, and for 20 years, they live a blissful, hug-filled existence. The new Bergen king (Christopher Mintz-Plasse) has been told his entire life that he will never be happy until he eats a troll, so when the disgraced Chef (Christine Baranski), who’s been cast out of Bergenville after the trolls’ great escape happened on her watch, finds the trolls’ hiding place and snatches several trolls to offer to the king, he is more than eager to restart the long-abandoned tradition of eating a troll. Troll Princess Poppy (Anna Kendrick) sets out to save her kidnapped friends with reluctant assistance from sullen troll Branch (Timberlake).